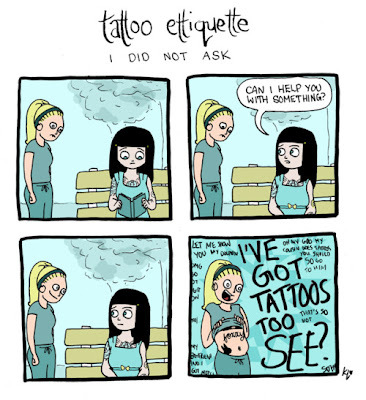 I love this, and if you have visible tattoos you may find the humor in this too! I hope you had a lovely Saturday! haha that's great. it's not a competition people! Hahah that is quite humorous. And so true! I find it funny when clients of mine call them "tats"
hahahaha! i love this! 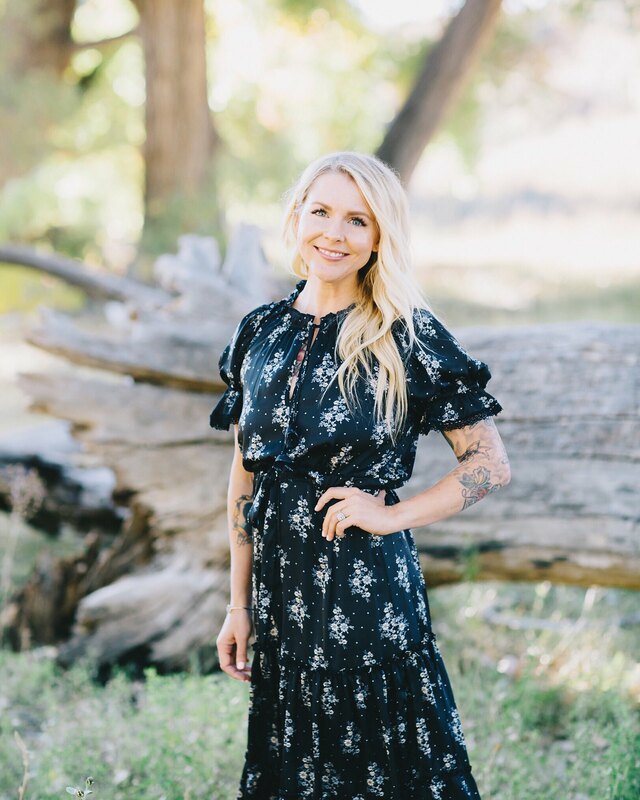 it's the one thing that i am NOT looking forward to when i finally bite the bullet & get my tattoo. i've had strangers literally come up & start rubbing the tattoos on my friend's shoulder. srsly?! ahaha so funny and soooo true! The worst is when it's a nasty hairy guy in a bar trying to hit on you. And his tattoo is on his leg. Or hairy back. 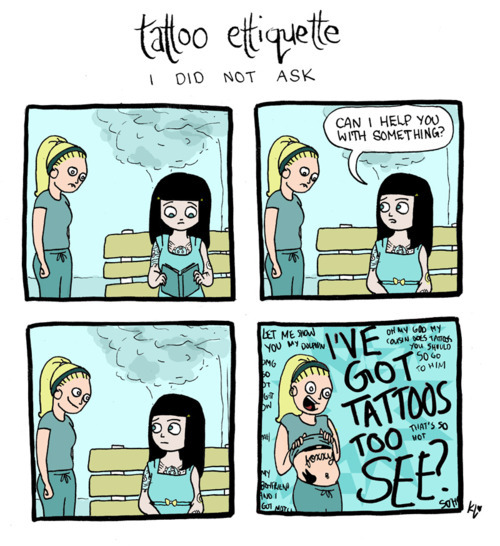 Or any creepy guys in general whose first instinct is to touch the tattoo (mine is on my shoulder/arm. Um, excuse me sir? Yes, they're pretty. No, don't touch. And no, I don't want to fake flirt with you. LOL! I haven't gotten myself tattooed (yet! ), but this cracked me up. It's kind of neat to have that connection with people, but I can see how it'd get annoying pretty quickly. this exact thing happened to me at the mall last week except the other person was about 75 and had to pull her pants almost completely off to show me her dragon. i had to restrain my gag. hahaha! hahaha yes! It cracks me up when people think we have that in common so that makes us instant buddies. This doesn't happen to me very much anymore...now I get people listing every single tattoo they like on me, which is a strange development. "I like your dinosaur. I like your nesting doll. I like that skull." The girl in this cartoon looks like you! I try to hide my tattoo geekdom and just be super cool, but this morning I was taken by surprise by seeing a neighbour in a a tshirt for the first time and he's got gigantic detailed wings on both arms. It got a little awkward. Haha loved this! I don't really have too many big, visible tattoos but I have one that runs along my shoulder that people always feel the need to run their finger along. Yuck, it's so true. Just seeing this bummed me out! That is one thing I luckily haven't had happen. Now it probably will now that I've said that, haha. omg this totally happened to me at the library the other day! This chick was practically getting naked to show me her ink. We were standing smack in the middle of the children's library! I was horrified. this could possibly be the greatest thing I've ever seen.